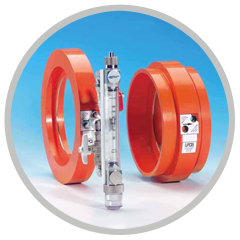 We offer a comprehensive approved range of innovative and reliable products for use in fire sprinkler pump testing and sprinkler flow detection. A long established market leader and the preferred option for fire sprinkler sytems offering both LPCB and FM approval. The LPCB approved SprinklerSense flow switch and test system is an exacting solution for flow detection, monitoring and testing.